A big part of what I focus on revolves around my values as an individual. My faith and specifically prayer plays a crucial role in my life. 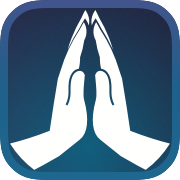 I have chosen to explore how apps could revolutionize prayer in our lives. Keep checking back for updates or subscribe to my newsletter. Sign up with your email address to receive news and updates about my apps.